Make Haigh while the sun shines (hopefully)! 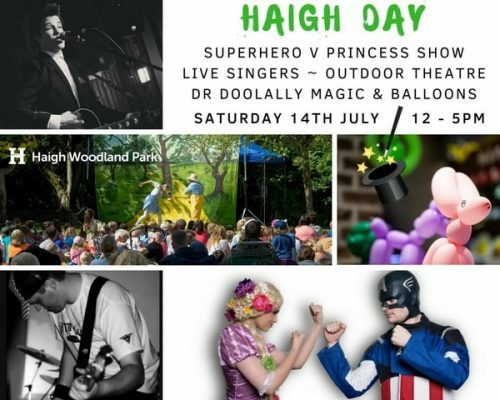 A packed family friendly event in one of the region’s best loved Woodland Parks. Alongside the Park’s popular static attractions. Performances at 12.00, 14.00 & 16.00 in the courtyard. Characters around the playground in between performances. Food & Drink throughout the park including the Kitchen Courtyard, BBQs, ice cream van, candy floss, licensed bar & much more. The event forms part of Wellfest 2018.